A decision has been made to study the remains of Russian Emperor Alexander III in connection with a new forensic evaluation of the case involving the deaths of the tsar's family, Vladimir Solovyov, an investigator with the Main Criminalistics Department of the Russian Investigative Committee, told Interfax on Oct. 26. "A decision has been made to open the grave of Emperor Alexander III on the initiative of the His Holiness the Patriarch. Everything depends on technical conditions. All this work will apparently begin no earlier than mid-November," Solovyov said. According to earlier reports, the Investigative Committee has resumed the investigation into the criminal case involving the death of the tsar's family. 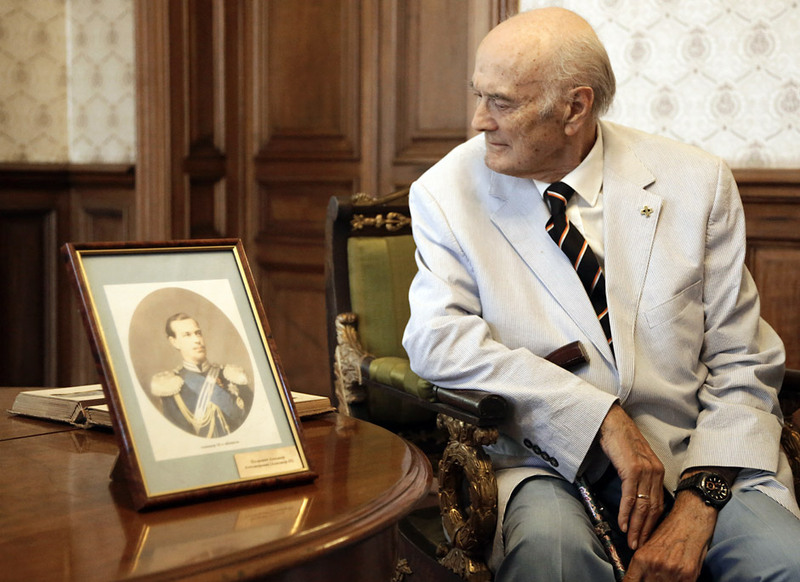 The Investigative Committee said additional tests are being performed to confirm the authenticity of the remains of Prince Alexei and Great Princess Maria. Their remains are located in the State Archive in Moscow. Samples of the remains of Nicholas II, his wife Alexandra and samples of the clothes of Russian Emperor Alexander II were taken from St. Petersburg to Moscow in September. The Russian Orthodox Church and some of the Romanov's ancestors believe the authenticity of the tsar family remains has not been proven yet. They are hoping that a new investigation will help resolve this issue. Last week, Solovyov told Interfax that the Investigative Committee is hoping to get "serious test results by the end of this year." "Everything is very serious, and the Church is helping us a lot. I really hope we will all work together," Solovyov said, referring to the new tests. State experts are confident that the remains, both those buried in the Romanov family vault in St. Petersburg and those stored in the Russian State archive, are real. In September, the Russian Investigative Committee did not rule out the possibility of the remains of Great Princess Yelizaveta Fyodoronva being taken from Israel to Moscow for new tests. "It's a very difficult issue: international relations, delivery from a different country. There is no final decision. We are talking about Alexandra Fyodorovna's sister, Great Princess Yelizaveta Fyodorovna. She was the wife of Great Prince Sergei Alexandrovich, governor general of Moscow," Solovyov said then. The Investigative Committee completed the investigation into the criminal case involving the death of the family of Nicolas II in January 2011 and recognized the remains found near Yekaterinburg as real. A grave with nine bodies was found on Staraya Koptyakovskaya Road near Yekaterinburg in July 1991. The remains were identified as those of Emperor Nicholas II, his 46-year-old wife Alexandra Fyodorovna, their daughters Olga, 22, Tatyana, 21, and Anastasia, 17, and their servants Yevgeny Botkin, 53, Anna Demidova, 40, Aloise Trupp, 62, and Ivan Kharitonov, 48. Members of the imperial family were buried at a sepulcher of the Peter and Paul Cathedral in St. Petersburg. The remains of two more people were discovered during archaeological excavation works 70 kilometers south of the first grave on July 26, 2007. The remains have still not been buried, but numerous expert analyses indicate that the remains are most likely those of Crown Prince Alexei and his sister Maria. The Romanov family said it supports the burial ceremony of the two children of Russia's last Emperor Nicholas II in the family vault in St. Petersburg if the new genetic tests are completed in full and if the Russian Orthodox Church recognizes the authenticity of the Yekaterinburg remains. "The date plays no big role here. The main thing is to determine the truth," Alexander Zakatov, director of the Romanov family chancellery, told Interfax earlier. The other descendants, members of the Association of the Romanov Family Members, believe the tsar's remains are real.